In April 2012, a Wesley College Junior College student was the victim of an attempted robbery as he and a female friend were heading home from school. Anthony Mark Leslie Pollard was shot once in the back as he tried to fight off his attackers, to prevent being robbed. Today in trial, Pollard gave sworn testimony claiming that one of the two men who tried to rob him and his friend, Karen Flores, in the Yarborough area was twenty-one year Lloyd Leslie Junior. But during examination, the shooting victim told the court that all he wanted was an apology. Senior Magistrate, Sharon Fraser asked Pollard if he had been compensated and he admitted that he had been paid one thousand five hundred dollars. Leslie Junior gave an apology and since Pollard wanted no further action, he was set free of two counts of attempted robbery and one count of grievous harm. 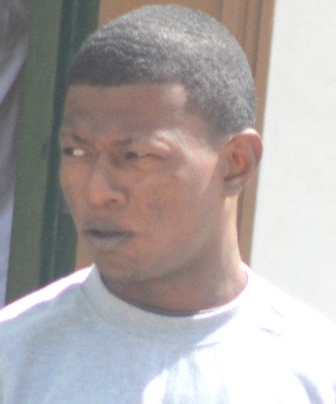 On the night of the shooting incident, Pollard testified that he and Flores were heading towards Yarborough Road, when two men rode up behind them. He said one approached him and demanded his belongings, but someone alerted that the police were on their way. His attackers fled, but one of them shot Pollard once in the back. Pollard was taken to the hospital where he had to undergo surgery. He was hospitalized for four days and then discharged after the bullet was removed from his back.